Time to jump on it (www.jumponit.com)! And this time with a voucher for the fabulous new XO Lounge at the bottom of the ASX building along St George’s Terrace. 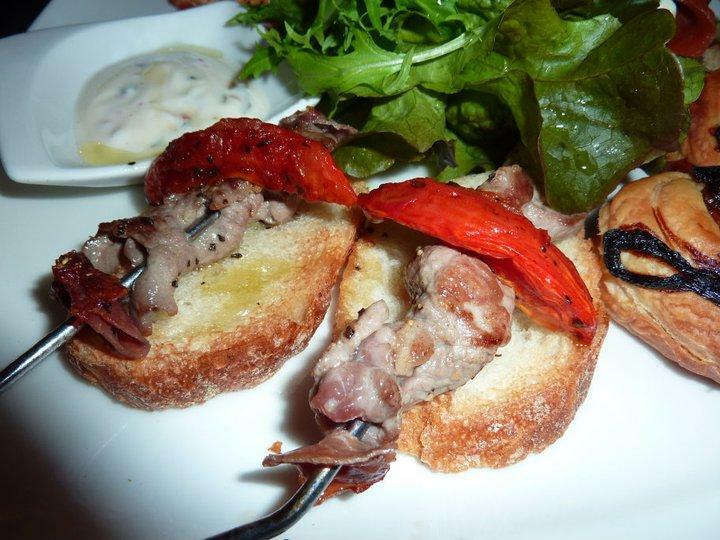 A fabulous deal for $89 – for a shared antipasto platter, then two mains, two desserts and a bottle of wine! Too good to pass up! It was difficult to get a booking on a Friday or Saturday night in the near term, so we thought we would head along on a Thursday night. Easy peasy to get a booking and here we come at 6.30pm! I really couldn’t wait, always nice to try somewhere new and I had been perusing the menu online thinking… hmmm… what to have, what to have…. decisions, decisions. 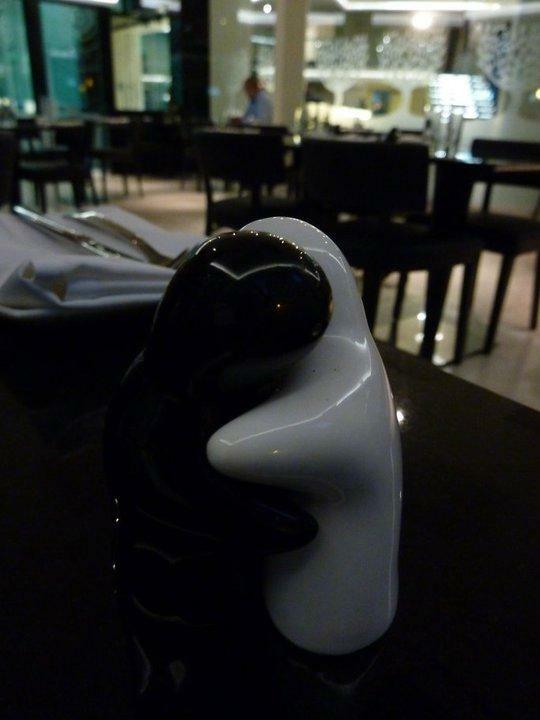 First thing that struck me was the great job they’d done with the layout, something different, nice and spacious and the cutest thing was that in the restaurant section, all the tables were adorned with the hugging salt and pepper shakers. Love them!! With the wonderful deal, we had to first chose between a bottle of white or a bottle of red. 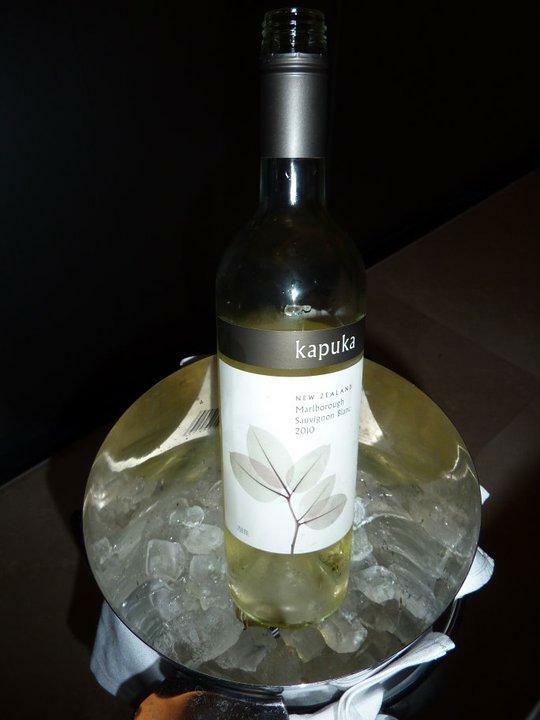 We went with the white, a delightful New Zealand Marlborough Sauvignon Blanc, which GG and I enjoyed. Wasn’t too sweet. 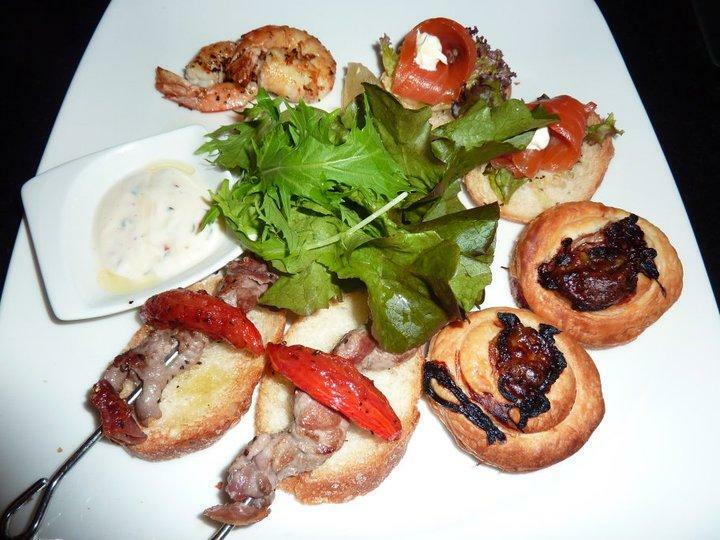 And after that all important decision, out came out first course – the shared platter. 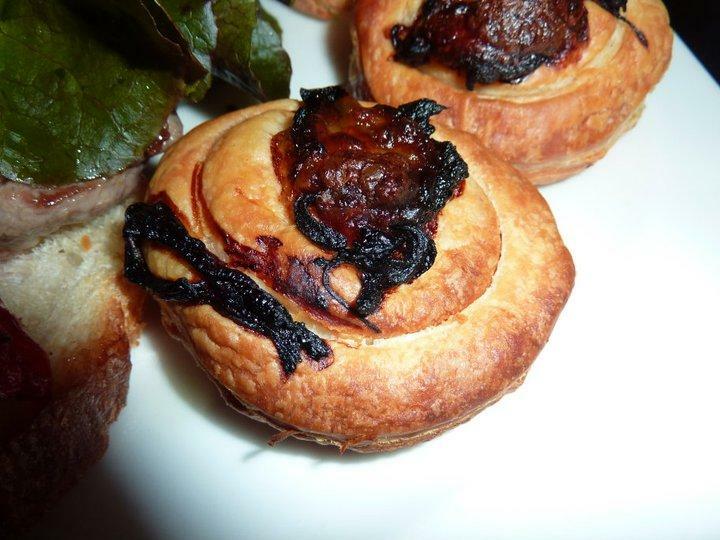 Included was char grilled veal and parma ham kebabs, beautiful prawns in a salt and pepper seasoning, some salmon on baguette and finally, some puff pastry wheels with a tasty caramelised onion topping. It all worked well and we were starving and made quick work of the selection. My only fault on the entree was that we weren’t actually told what everything was, just given the platter. Sort of nice to have a bit of a description, just in case someone has an allergy to something I suppose and also because it’s nice to know what you are eating. That would be my only criticism of our waitress, because other than that she was a total gem – very friendly. 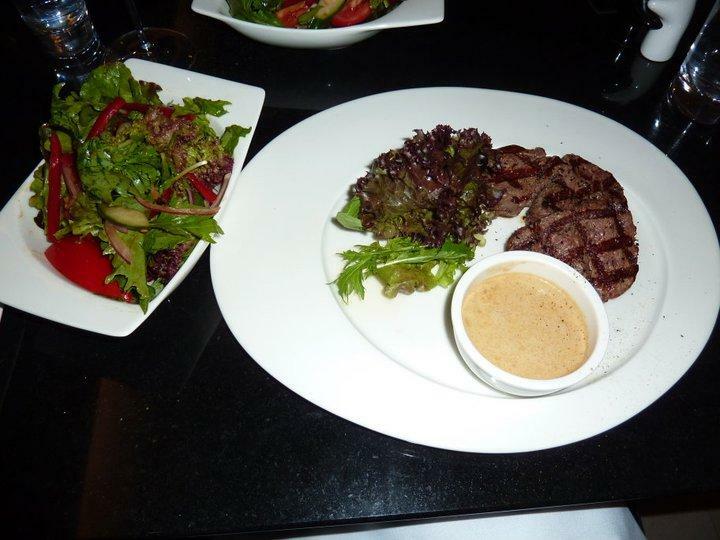 Then when it came to mains, we both couldn’t go past the Black Angus Fillet Steak served with your choice of either a fresh garden salad or wedges – we both went the salad option, and then you also had to decide on a sauce and the cognac peppercorn sauce sounded amazing so we both went with that. There were some other tasty choices on the menu – chicken, veal, fish, etc, but I just couldn’t go past the steak and it wasn’t just the $52 price tag that had me intrigued… it was mainly the sauce – would it taste as good as it sounded? I could only hope. One thought I did have was that given the cost of the meal, that perhaps it should automatically come with both salad and wedges…. And also might be worthwhile having other potato selections available – such as mash… just a thought, some people love their spuds, just would prefer they weren’t deep fried. 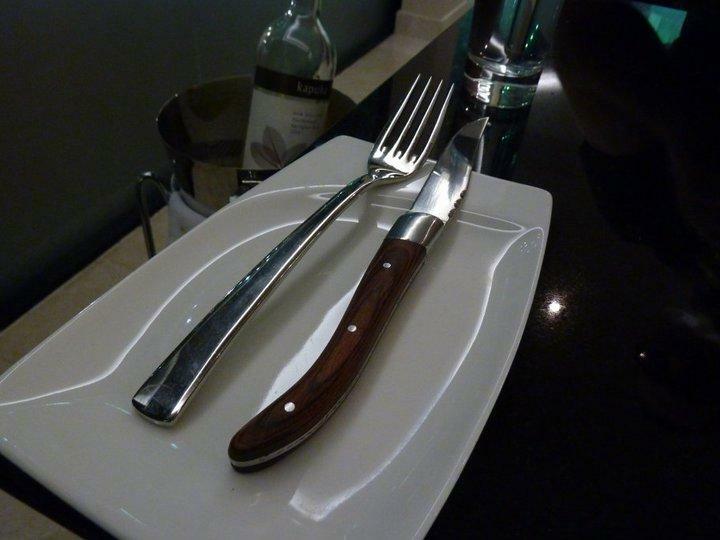 The cutlery for mains was delivered and we knew we were in for some serious steak action. And then it arrived. 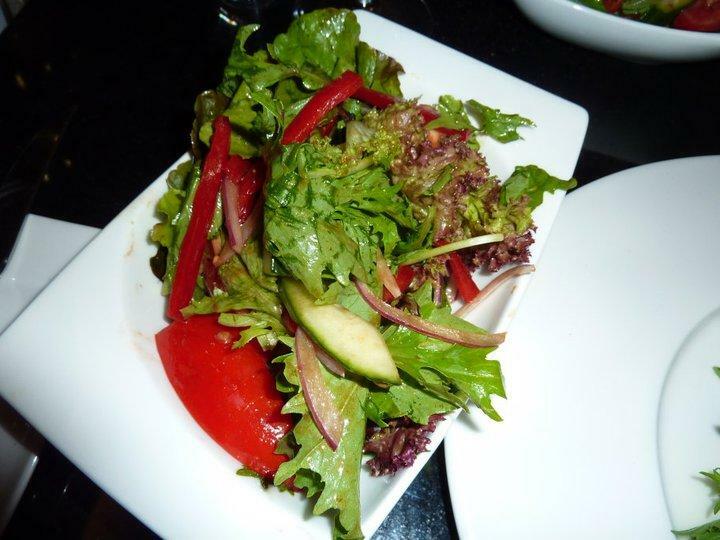 My first thought was that the few bits of lettuce on the side were the side salad, which had me terribly disappointed, but I need not have been so silly, the actual garden salad was still on the way. The greens on the plate were just garnish really. 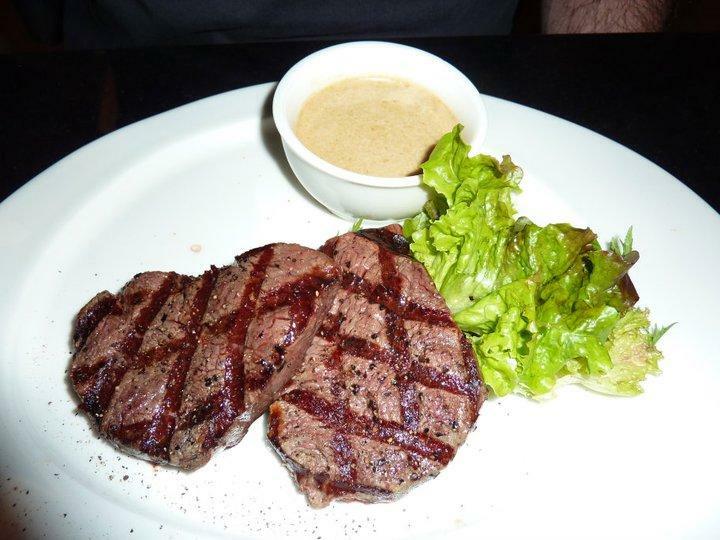 So I cut into the steak and dunked it generously into the sauce….. on reflection perhaps I should have poured onto the steak, but I was so keen to try it that perhaps this small matter of social etiquette was overlooked, but any way that first mouthful and I was in heaven! My steak was cooked medium and was done to perfection, just melted in your mouth! 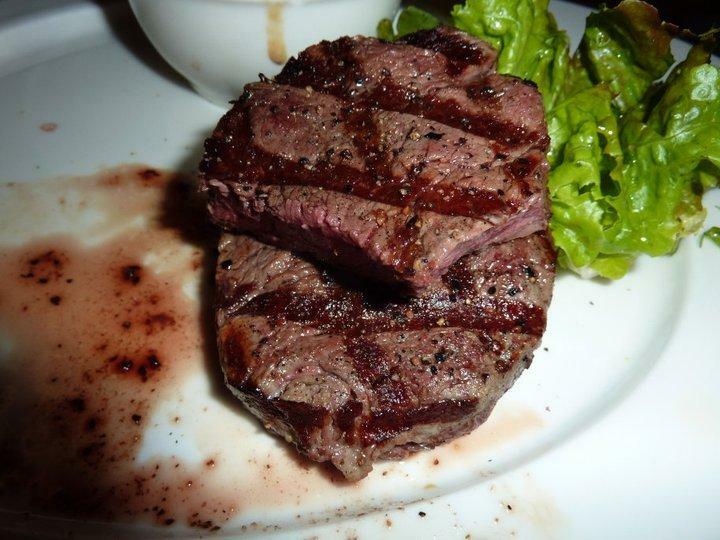 GG asked for his steak to be medium rare, and it was seriously so well cooked – pink and perfect! Not sure the quick snap I took of it did it justice. And it was a really nice salad on the side – not too much dressing, good serve, very fresh… and not just lettuce, which is always a plus. What’s with salads that are just lots of different types of lettuce?? But the big winner of the dish was the sauce, honestly just so, so good! The whole peppercorns in the bottom, the rich creaminess of it, the lingering flavour from the cognac – seriously brilliant. I find a disappointing sauce can totally ruin a dish, but this sauce was a hero. 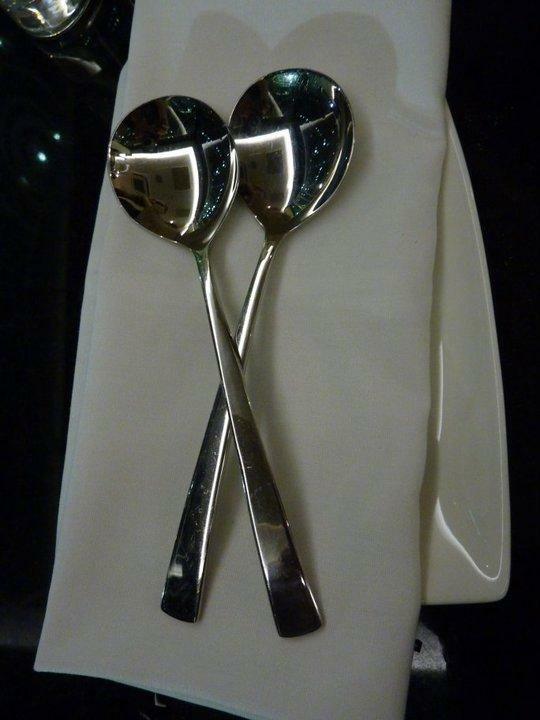 Combined with the perfectly cooked steaks, it made for an incredible meal that we both were left hoping for more of! 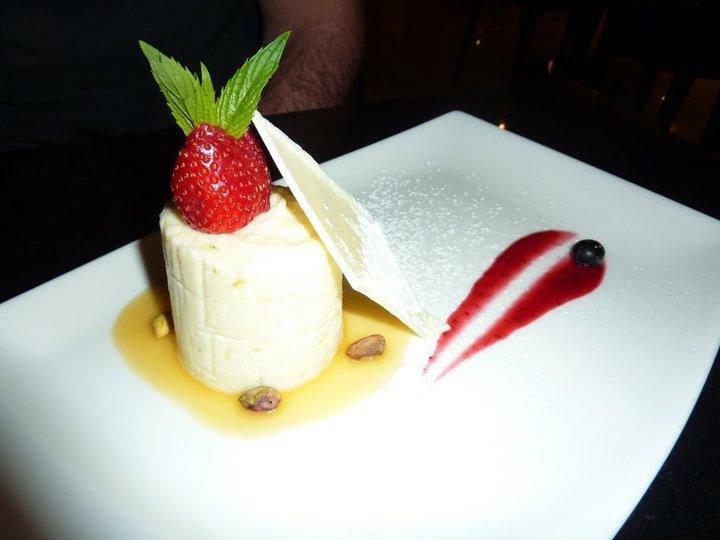 It felt like mains were devoured in the blink of an eye and the next thing for us to do was to choose dessert, again a nice selection. GG went for the cheesecake ($16), which was a nice zesty cake served with a berry coulis. It looked very pretty I thought – presented well. And I went with the Mascarpone Cheese and Espresso Slice ($16) – with fresh mascarpone and cream layer with coffee biscuit amaretto and a touch of chocolate. 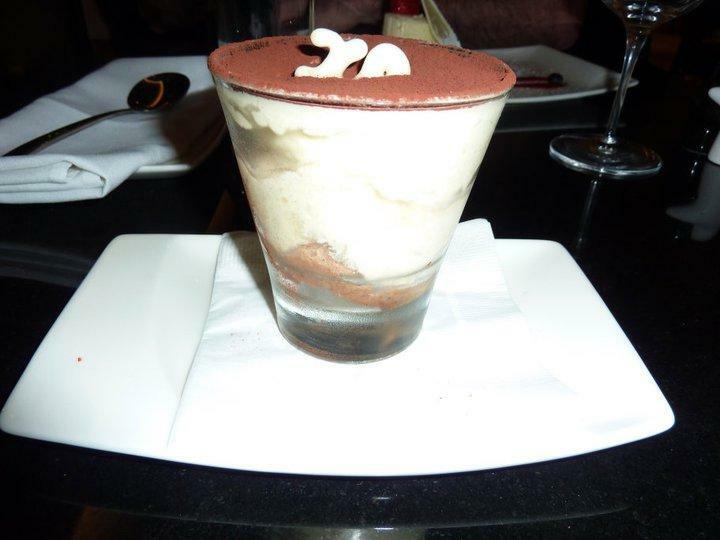 This was really just a very fancy way of them not saying that it was a tiramisu…. which is basically what it was. It was quite nice. GG tried it and liked it because it wasn’t very sweet. 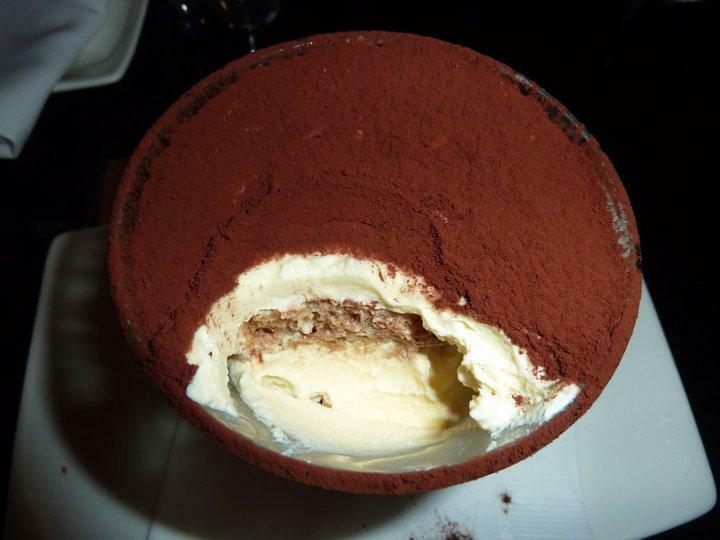 I didn’t mind it either, though let’s face it, I don’t shy away from sweet desserts. 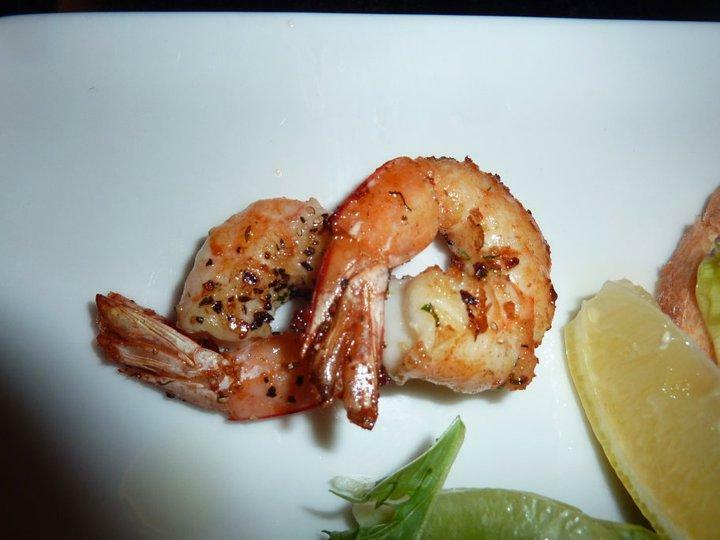 In all, I really enjoyed our visit to XO Lounge – friendly staff and tasty food is always a winning combination. I do think having the voucher made a big difference though, because without it, our meal selections would have made for a pretty pricey night out. Having said that, I should add that the $52 steak was one of the best I’ve ever eaten, so at least the price is reflecting quality.